Sunday arvo, out with your mates, having a cheeky beverage to delay thoughts of the 9 to 5 kicking off again on Monday (or Tuesday, in this case). Doesn’t sound much better than that! This Sunday at The Aberdeen Hotel we have $6 Millers, $8 Somersby Pints and $12 Swan Draught Jugs to compliment the best wrestling action in the country! With a W.A. Day to nurse yourself back to full health on Monday, there’s no place you’d rather be. Taster paddles are offered to those who check out some of the state’s great breweries. In that spirit, let’s give you a dose of what the 6-Pack EPW Taster Paddle would look like. The Steel Stout Lager is a strong drink. Containing a heavier punch than most beverages out there, the next day will leave you under no illusion that you had a rough night before. This lager (much like Steel and The Headhunters) has a dark disposition and maintains its quality when the heat is on. At EPW at The Aberdeen, Jordan Bishop will get a taste of the hard-hitting Dan Steel in one-one action. 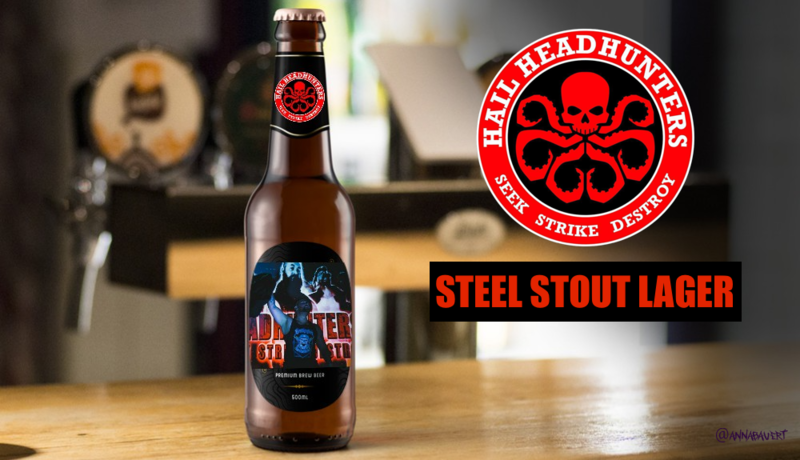 Both Steel and the Steel Stout Lager deserve your respect, if you’re tough enough to handle it! Whilst your traditional adult beverage has its fair share of vegetables (wheat is a vegetable, is it not? ), this addition to the tasting paddle is a purified mixture of “natural” kale, celery, beetroot, with crushed up ice. Much like Cousins himself, this mixture will get you a much-needed wake-up and ensure you have a bright future. 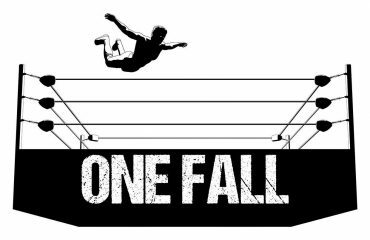 This Sunday, Cal Cousins takes on a Gorgeous Garry, who is riding the wave of momentum after conquering The Taylor King Challenge at EPW Collision Course. Will Cousins pick up the victory, or will The Gorgeous One deliver a hangover to “The Natural” that no Cal-Cleanse Smoothie will be able to pick him up from? The Flaming JT is The Hottest Drink Alive. It’s a cocktail that can be too much to handle, much like the man himself. Made up in a big batch and perfect for sharing, its unique mixture of Fireball whiskey, dry red wine and Fruit Salad juice hits the spot… allegedly. 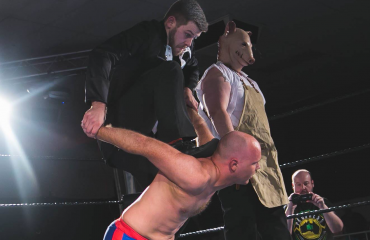 It’s a strange and familiar combination that will cool you down, much in the way that Jay Taylor and AZ Vegara will hope to cool down The Street Gang Hooligans this Sunday at The Aberdeen. The Ward Wharf Ale is the epitome of the beer industry that is thriving south of the river in Western Australia. The docks have a history of grunt and hard-work and are now synonymous with an artistic revolution. This ale is smooth and crisp just like the hard-working, artistic Julian Ward whenever he steps foot into the squared circle. At EPW at The Aberdeen, Ward will look to show off his wares and build some momentum as he works to press his case for a shot at revenge against Gavin McGavin. For the lost “Child Star” within all of us, the Malibu Dream is a cocktail that is confronting and oddly comforting all in one. This blend of Malibu, Midori and Peach Schnapps is a refreshing change from the norm. However, just like Taylor King, it’s probably best not to overindulge in too many of these. 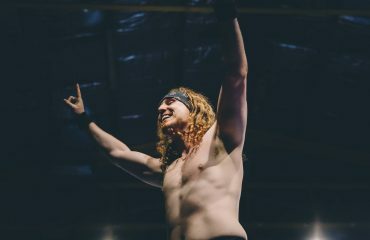 This Sunday, Taylor King and his Task Force of Tipene and Jack Edwards will be looking to make an impact when they take on Generation Zero’s Scotty Ryan, Allyson Cruz and Hayden Zenith. A victory over the current EPW Coastal Champion and EPW Tag Team Champions will go a long way to moving them up the rankings and reaching their own Malibu Dreams. A staple that has stood the test of time, getting better with age. Much like the “Don” you just can’t go wrong with an Espresso Moreltini. Lending on Morleone’s heritage, the Moreltini sources only the finest Italian coffee beans to give you a big wake up call. For The Don, he will be hoping not to suffer from a wake-up call in the form of the challenge of Marcius Pitt at The Aberdeen. Pitt is a 5-Time EPW Champion and will be looking confident after pinning the EPW Champion at Collison Course. Whilst that was through nefarious means at the hands of the returning Amber, Morleone may require a double-shot and eyes in the back of his head to keep the gold in his possession. That’s a taste of the EPW Tasting Paddle, but you don’t have to rely on just having a taste of the EPW action. Come down this Sunday to EPW at the Aberdeen where you will get a full-serve of EPW competition and entertainment at the premiere Northbridge watering hole; The Aberdeen Hotel.